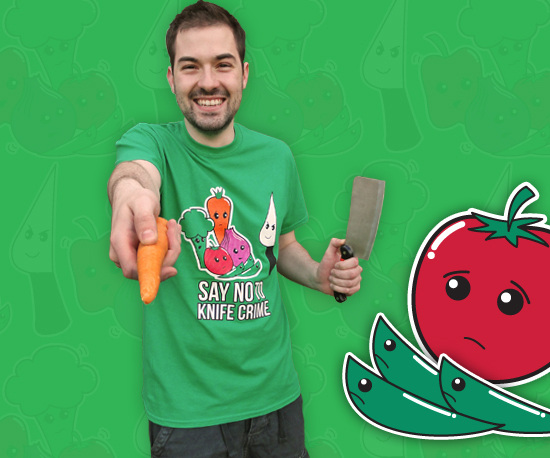 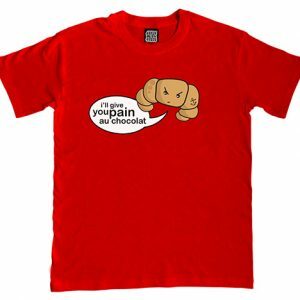 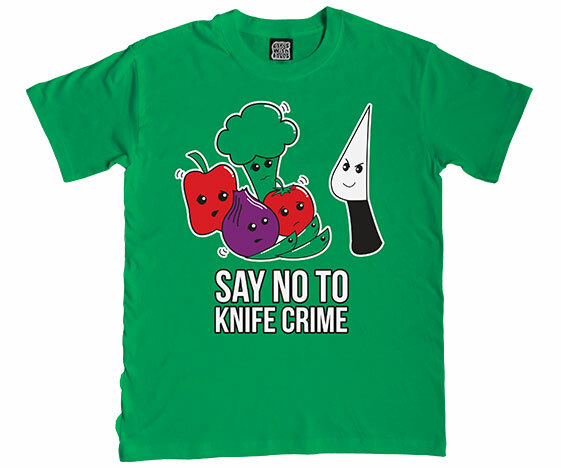 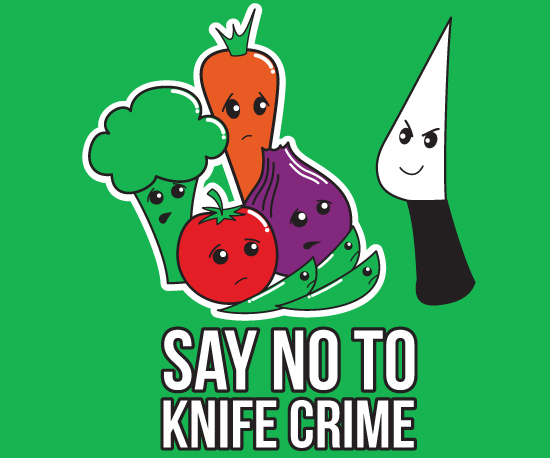 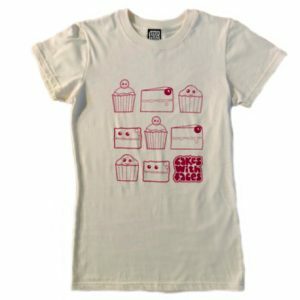 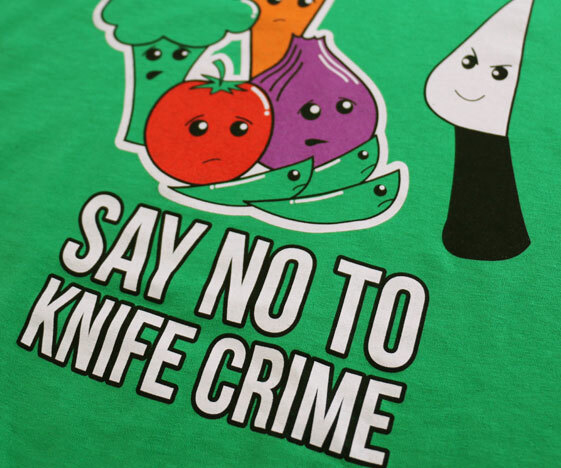 Funny t-shirt: “Say no to knife crime!” The kitchen’s a dangerous place for vegetables. 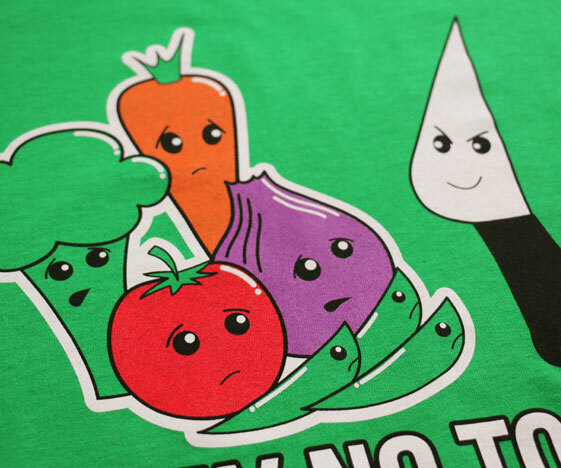 Just look at the peas – they’re terrified! 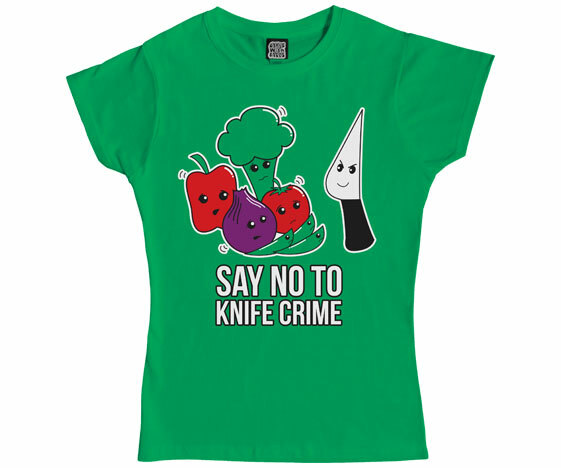 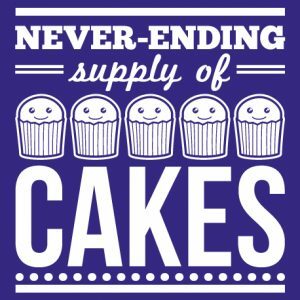 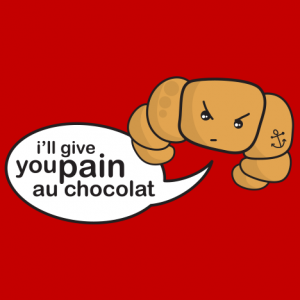 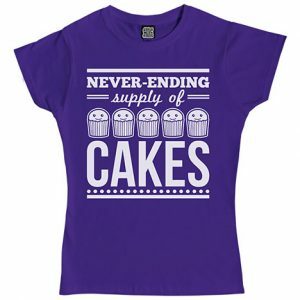 Perfect for vegetarians and vegans.